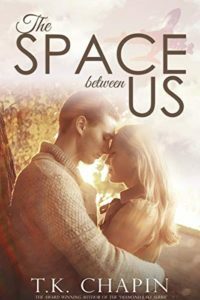 The Space Between Us by T.K. Chapin is a marvelously powerful contemporary Christian novel about love. This love is not a love that diminishes this is the love of God for His children and the love of His children for each other. It is a love based on 1 Corinthians 13. A love that puts others first. A love that takes care of the lost and the lonely. I love the idea that “God is pursuing you.” No matter what we’ve done or where we’ve been, God wants a relationship with us. The novel explores parental relationships. Earthly parents may fail us but God never will.